High quality, Qualex Ultra Foam cushion cores, wrapped in a layer of polyester fiber – with different firmness options. The main components, the spring system, the framing, and Qualex seat cushion cores are all backed by a lifetime warranty. 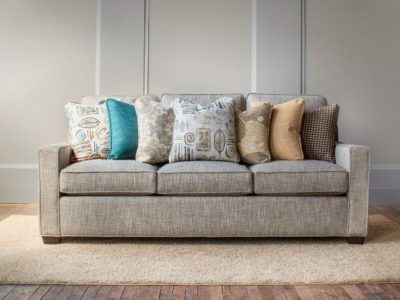 With over 900 fabrics and 100 leather choices, plus nailhead, welting, and finish options, it gives you the flexibility to create an original piece of your own – made the way you want it, all within 4-6 weeks of ordering. You will never regret an investment in quality furniture, because it is built to last. To learn more about Smith Brothers, visit their website, www.smithbrothersfurniture.com or stop in to our store. We would love to walk you through our great selection of designs and help you find the perfect style, comfort, and look for your home. Hallagan Furniture has been a family owned & operated company for over 100 years. They pride themselves on not only their detailed craftsmanship, but on the people who have worked tirelessly to create ideal furniture solutions for their customers over the years. They have been making upholstered furniture since 1899, starting in Canastota, NY. Simon Hallagan, with his partner Thompson, were finding success, and decided to move the company to Newark, NY, in 1913 to the old Mora car plant, which was out of business and lying empty. To this day, the saw dust collection ductwork in the rough mill bears the name “Canastota Couch Company”. The company did well in the years under Simon’s leadership. While the depression was hard on everyone, the company decided to cut hours across the board in lieu of layoffs, to ensure each employee received some income. During WWII, to help the war effort, the production shifted to make sleeping bags for the Navy. 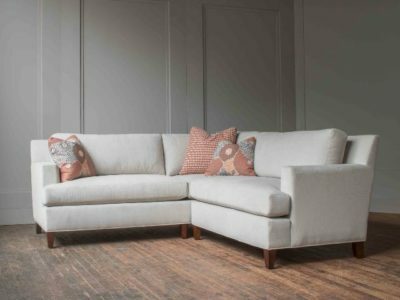 Simon’s sons, Stuart, Walt and Edwin Hallagan, took the company to the next level after the war and into the 1960’s, still focusing on special order custom upholstery for mid-to-high end living rooms. Stuart was at the helm, while Walt and Edwin played strong sales roles as they traveled throughout New York State. The third generation of Charles and Richard Hallagan operated the company from the 1960’s to the mid 1990’s and established major territories in neighboring states by trucking upholstery deep into New England, the mid-Atlantic states and Ohio. “Why do we build our furniture by hand, from the inside out? Because we believe that lasting comfort and the ideal fit have to be designed and constructed from the very beginning and at every step. 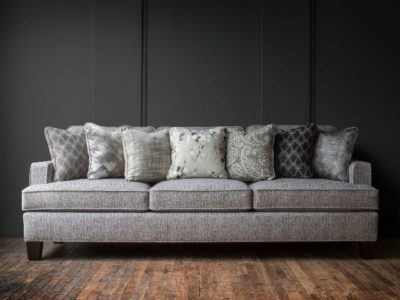 We offer many choices because we believe it should be as easy as possible for you to find the sofa, sectional or chair that is perfect for you”. To learn more about Hallagan Furniture, visit their newly updated website, www.hallaganfinefurniture.com, or stop in to our store and let us tell you more about them and their high quality products.